Laparoscopy is a relatively new method of endoscopic surgery, based on the introduction into the abdominal cavity through the puncture in the wall of the abdomen, special surgical tools. This reduces the volume of surgical intervention and the time needed for performing operations, reduce blood loss and reduce the trauma caused to the body. During laparoscopy it is possible to make interference almost all the abdominal organs – biliary ducts and gall bladder, the outer surface of the stomach, bowel loops, uterus , fallopian tubes, ovaries. If the surgery is done at least two punctures of the anterior abdominal wall (for the introduction of operating laparascope and more – to equipment), the location of which depends on the amount of intervention and the operated organ. 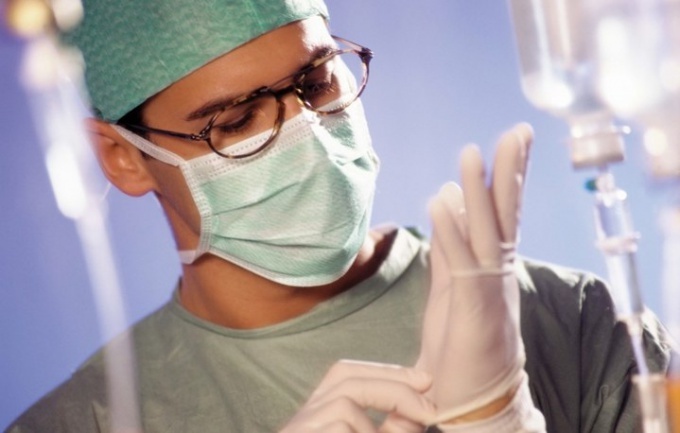 Operation in any case is conducted under General anesthesia, so you will need a recovery period and keeping a certain regime in the first weeks after intervention.The first days after the operation the patient should stay in bed or polupostelny mode, and the possibility of its extension should always be agreed with a doctor. Recovery after laparoscopic surgery is usually faster than after classic surgery, but the first few days after intervention is usually recommended to stick to a diet of easily digestible foods, mechanically sparing the abdominal cavity.In the area of administration of laparoscope after extraction do stitches (usually one or two), and aseptic bandage. Seams daily treated with a solution of iodine or brilliant green and glue again, remove them in the normal course afterthe operating period of 5-7 days. After the intervention the patient can be discharged home under observation of the surgeon, but the list of disability (sick leave) is usually given for 10-14 days even in the normal course afterthe operating period.Follows immediately after discharge from the hospital to begin regular physical activity – laparoscopy is responsible enough interference, so you need to ask family members to be sensitive to the operated patient, and to remove his chores. It is strongly recommended not lifting weights more than 2 kg, and at the same time within one month after the operation, steam bath and sauna. You can take a shower, but before removal of stitches operating wound should be protected with waterproof dressing after hygienic procedures should be removed. Also the doctor after the operation may recommend sexual abstinence for women, especially after carrying out laparoscopic operations on the organs of small pelvis.